Located in 1 hour drive from Helsinki, in village Karjalohja by the Lake Lohjanjärvi. The nature is near, only one step from your hotel room. The Finnish nature is also brought inside the spa. You can actually hear Finnish birds singing and smell the Finnish summer while enjoying your holiday in the luxurious spa facilities. 40 rooms in the main building, located on two floors. 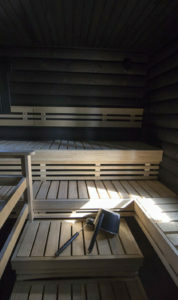 Spa Hotel Päiväkumpu offers spa and wellness services and is specialized in promoting the Finnish sauna culture. Buffet lunch and dinner are available in the hotel restaurant. 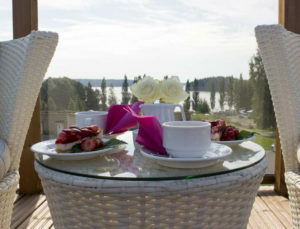 A la carte restaurant Panorama offers Finnish and international cuisine daily with a remarkable view over the Lake Lohjanjärvi.